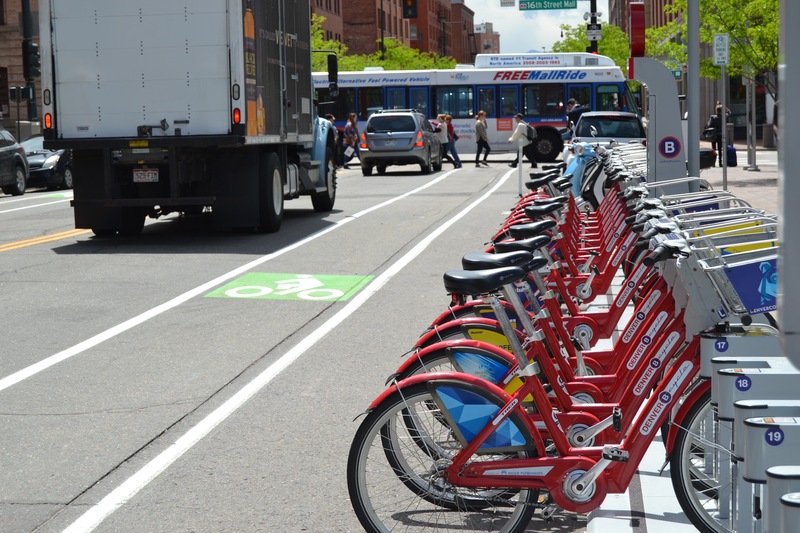 Will Denver City Council Make Good on Its Goal to Expand B-Cycle Citywide? It’s a worthwhile target, as long as the stations are sited close enough together. For bike-share systems to work well, the network has to cover a lot of ground and stations shouldn’t be more than a short walk apart from each other. But B-Cycle’s stations are still too few and far between — and located mainly in wealthier neighborhoods — to make bike-share convenient for everyone. City Councilman Jolon Clark chairs the Council’s Transportation and Mobility Task Force, which set the bike-share goal late last month. So far he said the plan to scale up B-Cycle citywide hasn’t gotten off the ground. B-Cycle Executive Director Nick Bohnenkamp said a truly comprehensive B-Cycle system will require more resources but didn’t specify a dollar figure. Expanding B-Cycle will entail an upfront investment in stations and bikes, as well as funds to cover operating expenses. B-Cycle user fees currently cover about 60 percent of the annual operating budget of about $1.7 million. The City and County of Denver contributes $250,000, Bohnenkamp says, or about 15 percent. The remainder comes from donations and sponsorships. With 87 stations and about 700 bikes, B-Cycle is a fraction of the size needed to provide good coverage throughout the city. By comparison, San Francisco, at less than a third the area of Denver, will have a system with 4,500 bikes when it wraps up its citywide expansion. Today’s small B-Cycle system has still demonstrated bike-share’s potential to address Denver’s transportation problems. Nearly half of bike-share trips replace car trips, making more efficient use of street space. 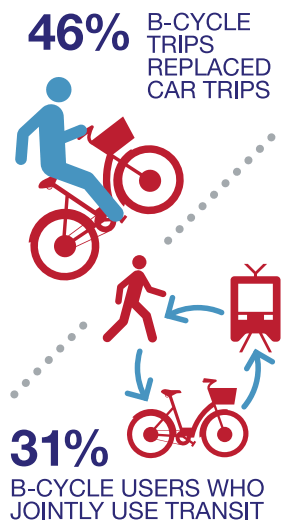 And nearly a third of the time, users ride B-Cycle to get to or from a transit stop. If the City Council follows through and successfully creates momentum for a bigger bike-share system, B-Cycle can take even more cars off the streets and help fill more of the terrible gaps in access to bus stops and train stations. Editor’s note: Denver’s bike-share system will be one of the many topics of conversation at the Live.Ride.Share Denver conference on shared mobility next week. Bohnenkamp will join others to discuss equity and shared transportation services.